When companies like Google, Facebook and Amazon try to enter the car market, popularize virtual reality headsets and launch rockets into space, change is afoot. Today’s would-be stars of tech might still write code in their dorm rooms, but they are also building toys like engineers. A graduating computer science major in the Bachelor’s Degree for Professionals program, Joycelin Spencer starts a job this spring as an embedded software engineer at a defense contractor in Woodland Hills. The one-time accounting major was hired while completing the embedded robotics project shown here. Starting with an off-the-shelf design for a 3-D printable hand, Spencer spent her time learning how to program an Arduino microcontroller, figuring out what kind of servomotors to use as the hand’s muscles, setting up circuits and adjusting mechanical details like the tension of the plastic tendons. The reward is a system that can pick up a tennis ball. With refinements it could be a prosthetic hand. 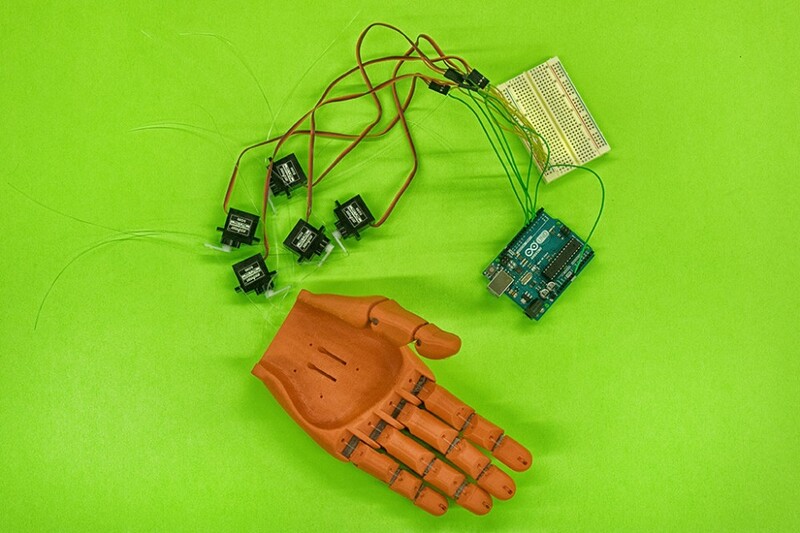 Just as important, it’s a “fully trainable device,” a starting point for Reinhart’s next few students to lend the hand new life using sensors that read brainwaves and gestures. Details about the project appear on Pages 4-5 of our April issue’s interactive version.